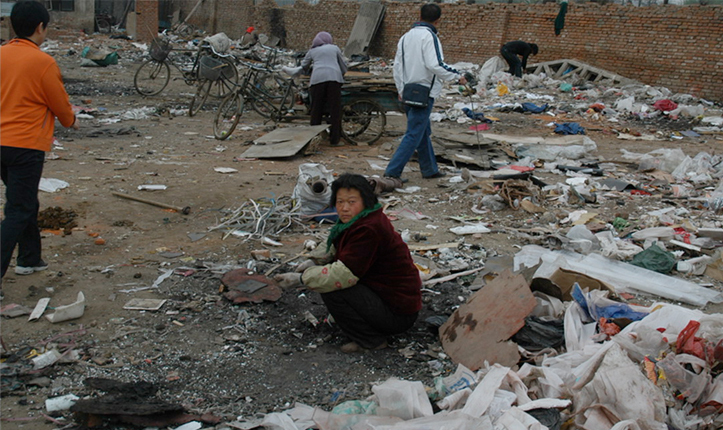 Much of the original site, located at the edge of a beach, was used as a garbage dump and included deserted slums and irrigation facilities. The site was unkempt and largely inaccessible, so mostly deserted. Yu Kongjian’s plan was to preserve as much of the natural river corridor as possible, promoting the lush, diverse natural vegetation as a key draw. 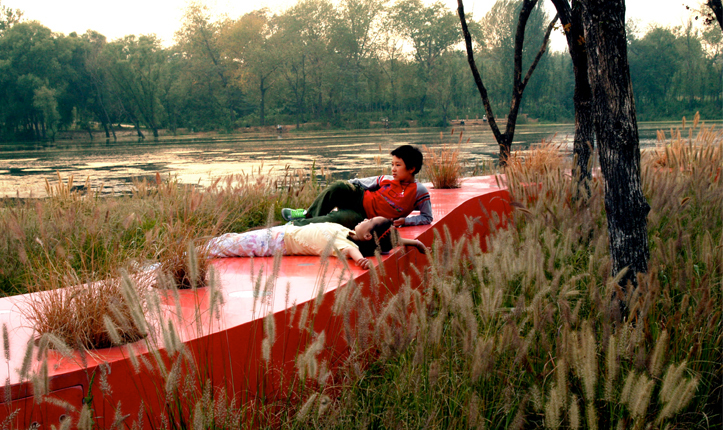 Instead of paving over the riverfront with hard pavement and ornamental flower beds, the design uses a “red ribbon” steel structure stretching 500 meters along the riverbank. 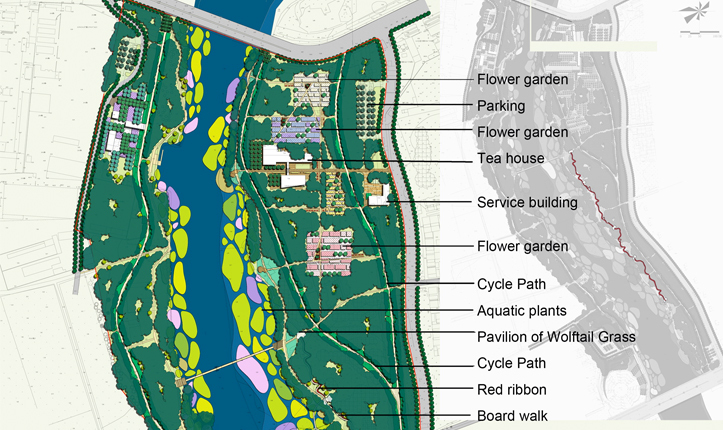 The idea was to provide access for jogging, fishing, and swimming with minimal intervention in the landscape. 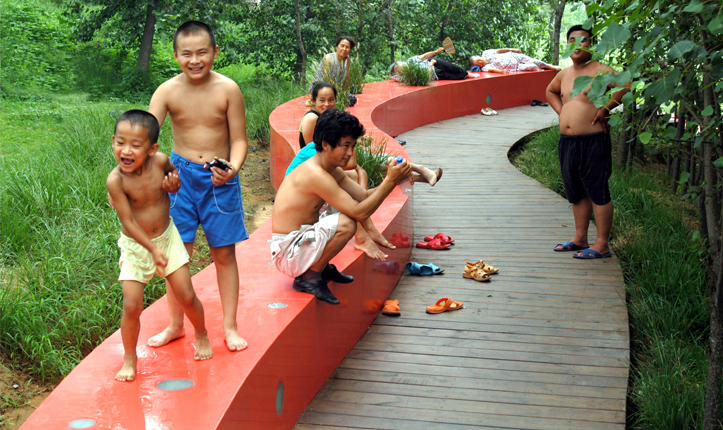 The Red Ribbon snakes along a boardwalk, providing walking access throughout the park. 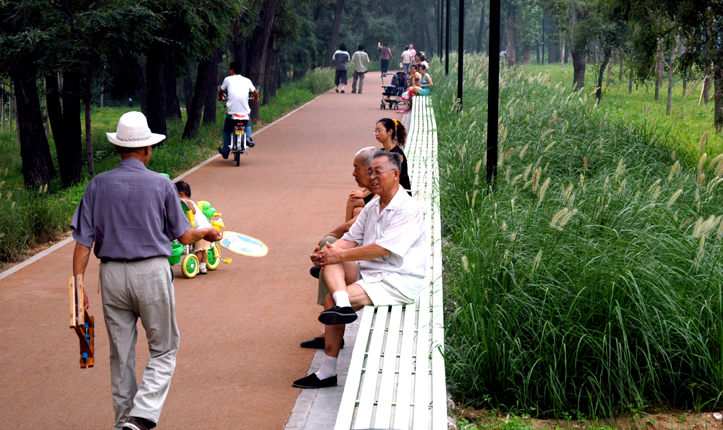 Many of the park visitors are former farmers and “newly urbanized.” The park provides helps maintains visitors’ environmental connection with rural China. The Red Ribbon provides access for wildlife, with animal crossings built into the ribbon at different points. Native vegetation, including local wolf tail grass, is featured throughout the park. 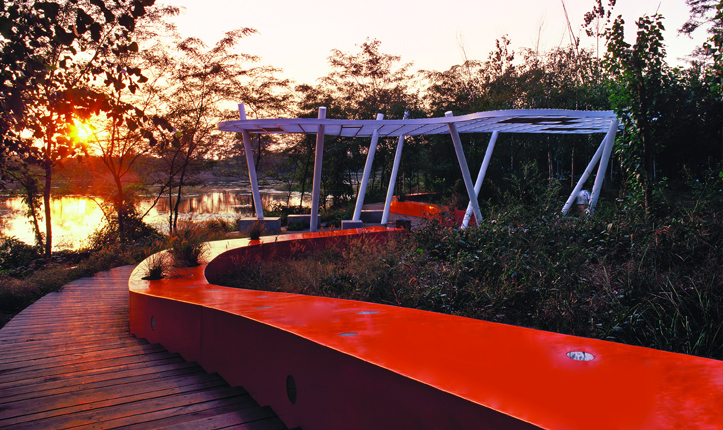 Plant species are grown strategically within the Red Ribbon’s steel structure. The site also educates. Each of the four pavilions is named after a local plant species. Bikers can use a previously inaccessible site, encouraging community buy-in. 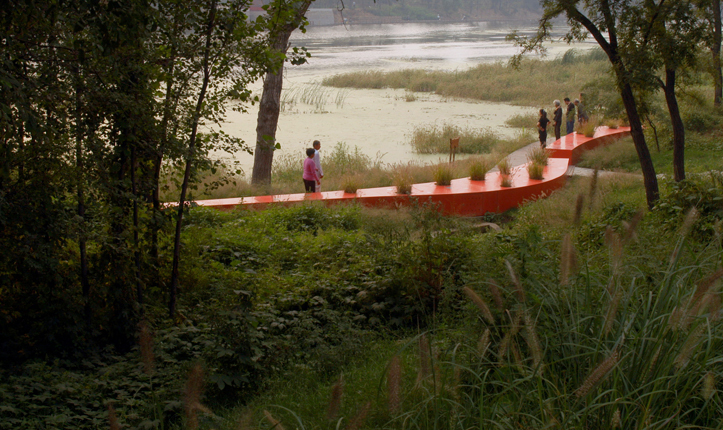 While urban, modern, and accessible, Red Ribbon Park highlights and preserves riverfront’s natural ecological systems. The Red Ribbon Tanghe River Park used to be a neglected community garbage dump. The park’s “Red Ribbon” steel structure runs 500 meters along the riverbank and is lit from within at night. 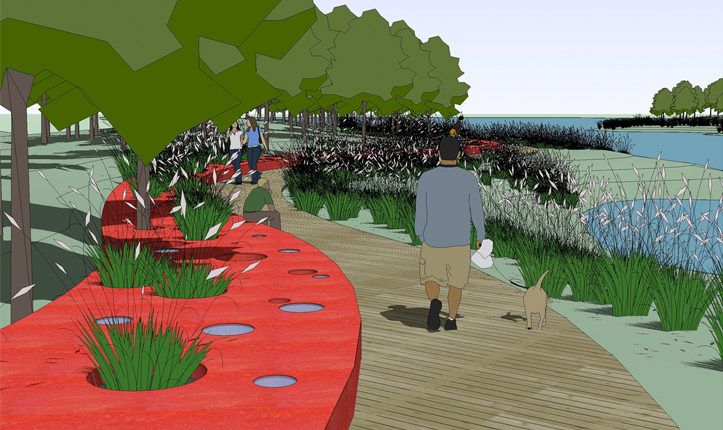 Alternative ideas considered by the city for the park included paving over vast areas with hard concrete and adding ornamental flower beds.